Weekly journal; founded in New Orleans, La., Jan. 4, 1895, by A. Steeg, who is still (1904) its publisher. Its first editor was Alexander Harris, who was succeeded by Maurice Switzer, afterward editor of "The Owl" (absorbed by the "Ledger "March, 1903). Rev. 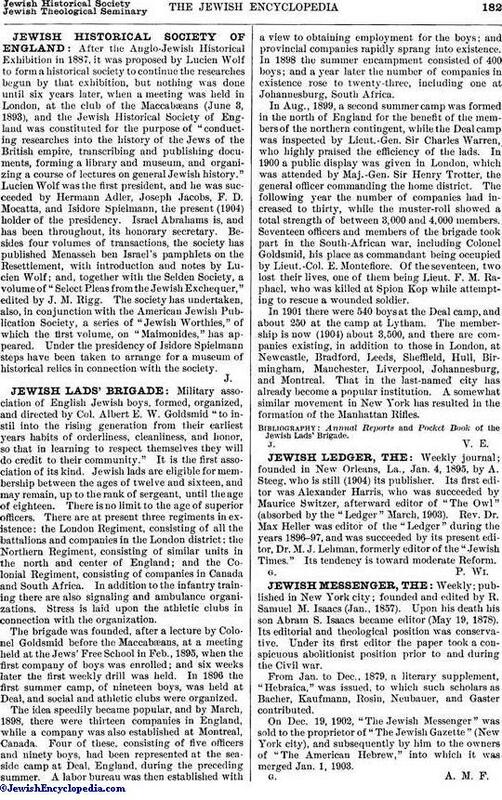 Dr. Max Heller was editor of the "Ledger" during the years 1896-97, and was succeeded by its present editor, Dr. M. J. Lehman, formerly editor of the "Jewish Times." Its tendency is toward moderate Reform.